Posted on June 19, 2017 at 9:57 am. In the lead up to the 2018 Victorian state election, anti-pokies group the Alliance for Gambling Reform is trying to get local councils on their side to join the anti-pokies movement. 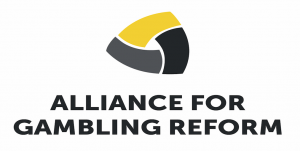 The Alliance for Gambling Reform is not affiliated with any political party and is a collaboration of organisations with a shared concern about the harm caused by gambling in Australia. It is funded entirely by donations from individuals and organisations that have no ties with the gambling industry, with money used to campaign for gambling reforms that will minimise gambling-related harm. The group is calling for councils to support their campaign so that whichever side of politics wins the election, action will be required to be taken towards a pokies reform. So far, the Alliance already has support in Victoria from Greater Dandenong, Monash, Whittlesea, Melbourne and Frankston councils. State organisations on the Alliance board include The Victorian Local Government Association, Victoria Inter-Church Gambling Taskforce and Whittlesea Interagency Taskforce on Gambling. Stephen Mayne, former City of Melbourne councillor and current media and communications advisor for the Alliance, addressed Victoria’s Kingston Council at a public council budget submissions meeting last week, asking for Kingston’s support in the campaign. Mayne noted that during the 2015-16 financial year, $83.4 million was lost to the pokies across the Kingston municipality alone. “Australia runs the world’s most addictive and dangerous poker machines so you can lose thousands of dollars an hour on our poker machines,” Mayne noted. He told the group Australians are the world’s biggest gamblers per capita, losing over $23 billion each year, half of which went to the pokies. The Alliance wants local councils to get on board the campaign and join the group as a Tier One supporter, which requires a $25,000 donation. Mayne said the Alliance’s goal is to “run an auction” to lobby the Labour and Liberal parties to publicly declare where they stand on the pokies reform before the election takes place. Kingston councillors will meet later in the month to discuss the possibility of joining the Alliance.